ART STAGE, Southeast Asia’s leading art show returns to Singapore this month on 26 to 28 January 2018 at Marina Bay Sands Expo and Convention Centre. It will be the anchor event to Singapore Art Week which will unite museums, galleries and non-profit agencies for 12 enlightening days of events, fairs and discussions. This year’s ART STAGE Singapore is themed after ‘Interactions’ and seen through three parts. That includes the Special Country Focus – which shines the spotlight on Thailand’s vibrant art scene, the Southeast Asia Forum which comprises of several lectures and an exhibition as well as Signature Collectors’ Visits where Singapore’s collectors showcase collections in their private residences. “One of the main goals of ART STAGE is to promote the Southeast Asian art world, and to matchmake and bring these national art scenes closer to each other as well as to the international world,” says Mr Lorenzo Rudolf, President of ART STAGE. Thailand has had a long history of visual art – particularly with traditional paintings that depict religious and cultural tales. Even so, the last few years has seen the birth of more professional art galleries and museums such as the MAIIAM Museum of Contemporary Art. “Naturally, we will have to pay tribute to this movement at the Fair by featuring many Thai galleries and artists, and planning spectacular museum-like projects with their leading local artists,” says Rudolf. Expect to see a strong showing of names like Kamin Lertchaiprasert presented by Numthong Gallery and Natee Utarit presented by Richard Koh Fine Art. After all, we live in an age of crossovers where artists appear in the design world while designers make their way into the art realm. “Is this a logical and consequent expression of the zeitgeist today; a social and cultural development, a new fusion of art and life? Or is it merely a superficial and fashional lifestyle phenomenon?” asks the Forum’s curatorial statement. These questions will be picked on and taken apart in a series of talks. 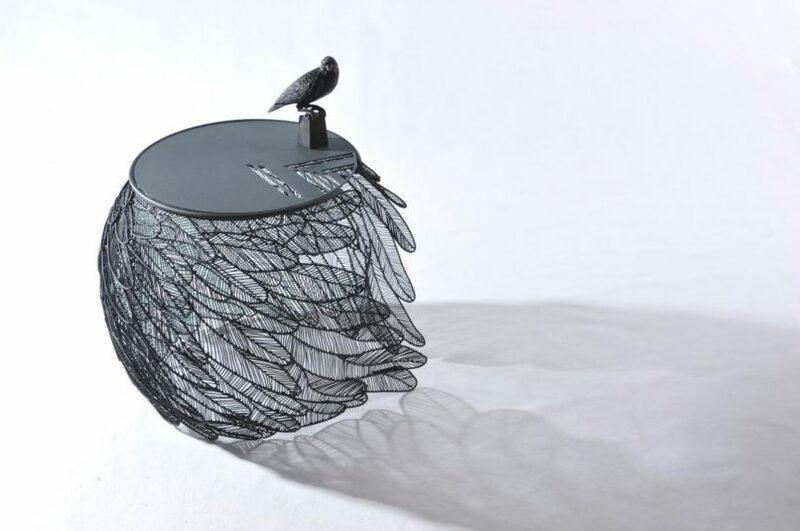 Apiwat Chitapanya, Feather Table (Side Table). Wire stainless steel, 60 x 50 cm. What better way to set these questions in context than to see it for yourself? The Artling, which last year held a popup at Artspace@Helutrans featuring emerging Asian artists as well as original vintage furniture by iconic designers, will be collaborating with ART STAGE to present The Artling Collectible Design Showcase. Here, furnishings from lighting to textiles and design products will be on show to examine the interplay of design with Southeast Asia’s socioeconomic growth. Yet what’s arguably the most exciting part is the debut of the Signature Collectors’ Visits. This is where Singapore’s art collectors showcase their collections in their residences to highlight the importance that private collectors play in developing the local arts scene. The list of names includes the likes of The Teng Collection by Teng Jee Hum, Samson’s Private Collection by Michelangelo and Lourdes Samson as well as Nijkerk’s Private Collection by Mr and Mrs Richard Nijkerk. 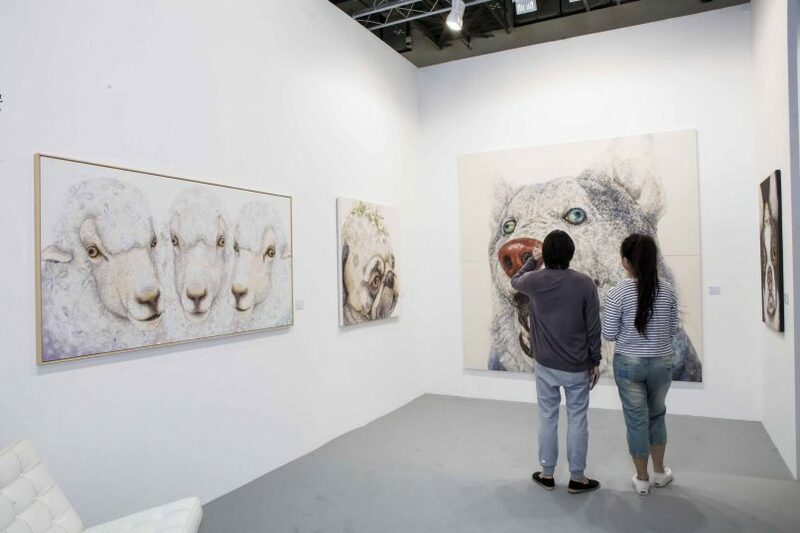 ART STAGE Singapore 2018 will be held on 26 to 28 January 2018 at Marina Bay Sands Expo and Convention Centre Level 1, Halls A-C.